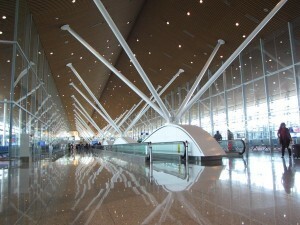 There are 2 terminals (KLIA1 and KLIA2) at Kuala Lumpur International Airport, located at Sepang, 55km south of the city . Subang Airport is at Subang is 25km west of the city. 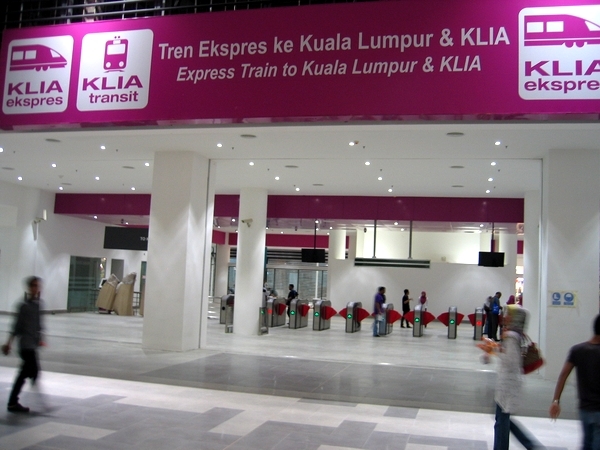 Both terminals are connected by KLIA Express and KLIA Transit. KLIA Express starts from KLIA2, stops at KLIA1 and then runs without stopping to KL Sentral. whilst KLIA Transit starts from KLIA2, stops at KLIA1 and three other stops (Salak Tinggi, Putrajaya, Bandar Tasik Selatan), then on to and terminates at KL Sentral. 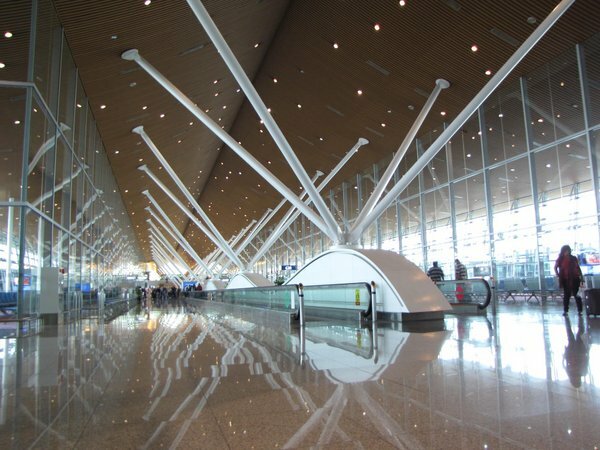 Most transits from KUL (KLIA1 / KLIA2) airport to Kuala Lumpur areas like Bukit Bintang or KLCC will generally take around an hour. Subang Airport is closer to the city, but still allow one hour.. Taxi Tip: Budget taxi will seat only 3 passengers due to luggage space as boot space is taken up by a LPG gas tank stored in boot. Do not use private taxi outside arrival hall. They may rip you off. 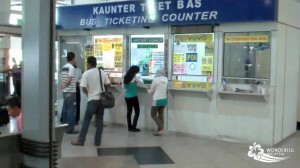 My advise to tourist is to purchase prepaid taxi voucher at airport. I read that there maybe a 50% surcharge for all taxi rides from KLIA2 between 12 midnight and 6am. 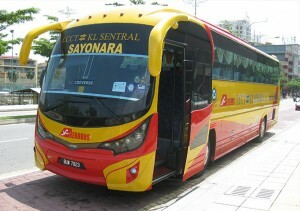 Compared to KLIA1, a lot more buses serves KLIA2, with frequent buses running between KLIA2 and KL Sentral. Going by bus is obviously a cheap and hassle-free way but slower way to get to city. Once you at arrival lounge, head towards the bus counters on ground floor ( outside immigration) to purchase bus voucher to city (approx. RM10. 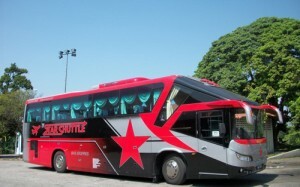 Otherwise use a Star Shuttle hotel transfer ( if you had prebook at airport). 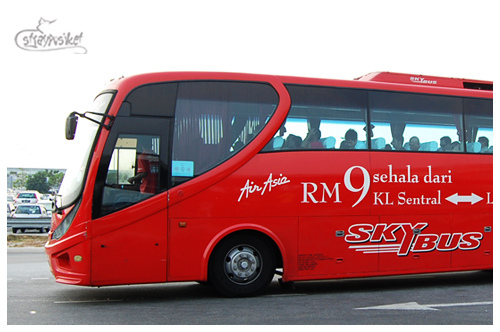 Skybus departing every 30 minutes, is the AirAsia (with its bright red AirAsia corporate color) operated shuttle bus from KL Sentral to KLIA2 and vice versa, for a one way fare of RM10. The Skybus also offers family sized vans. Otherwise use another company, the Aerobus, also serving the KL Sentral-KLIA2 route. Same price as Skybus. If you want to who want to catch domestic bus to other cities in Malaysia, take the Star Shuttle instead as Star Shuttle takes you to Pudu Sentral (approxRM12), then take the Star shuttle hotel transfer (if required). 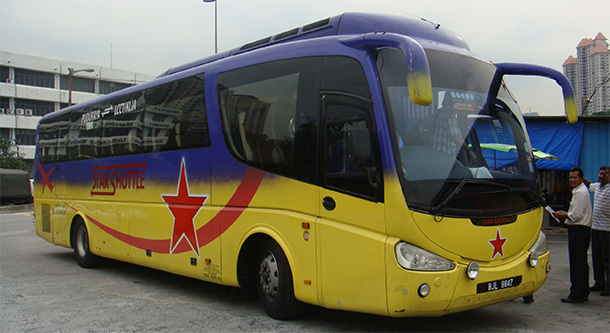 You will recognise the bus by its bright yellow color and star. 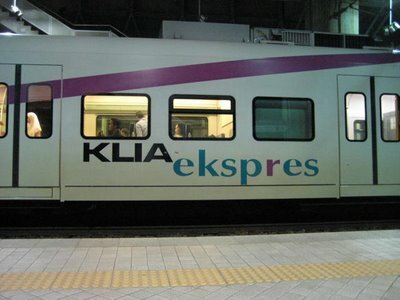 The KLIA Express train station (very 15-30 minutes) is a 28 minute ride rom KLIA1 and KLIA2 directly to the train hub of KL Sentral. There is another train line (KLIA Transit) that takes a little longer but is generally only used by locals living in the suburbs of Salak Tinggi, Bandar Tasik Selatan, the administrative center of Putrajaya and the Multimedia Super Corridor Cyberjaya. I find that it is faster to get a taxi door too door but it will cost more (2 person budget taxi was RM80 to Bukit Bintang Royal Hotel). If I travel by myself and just one suitcase I sometimes travel on the KLIA Express train (RM35) and change to a cab to get to Bukit Bintang (approx. RM10) at KL Sentral station as it can eliminate any risk of being stuck in road traffic and also cheaper for a single traveller. Sometimes I use the Star Shuttle (approx. RM12) travels between both KLIA1 and KLIA2 to Pudu Sentral bus station (1 hour) and use the Star Shuttle hotel transfer (RM15). Upon arriving at Pudu Sentral bus station they will transfer you to a smaller coach that will bring you to your hotel door. It is much cheaper than taking a taxi. A Tip .....The KL Hilton and Le Meridien is right across the road but their representatives will meet you at the exit of the train station to assist you with your bags and check-in. 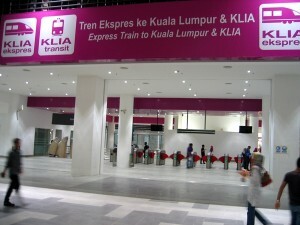 Both hotels also help with the purchase of the KLIA Express train tickets. Guests need to book this complimentary service prior to arrival..